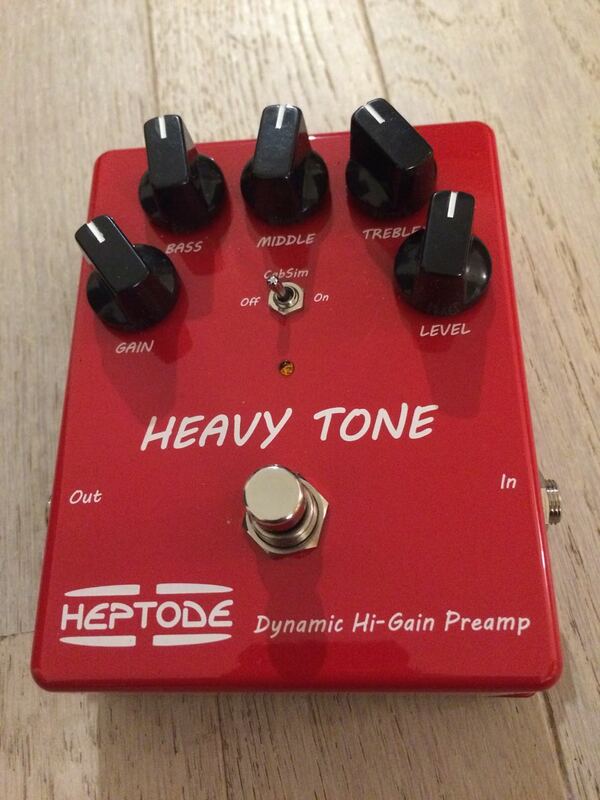 Heavy Tone, Distortion from Heptode. 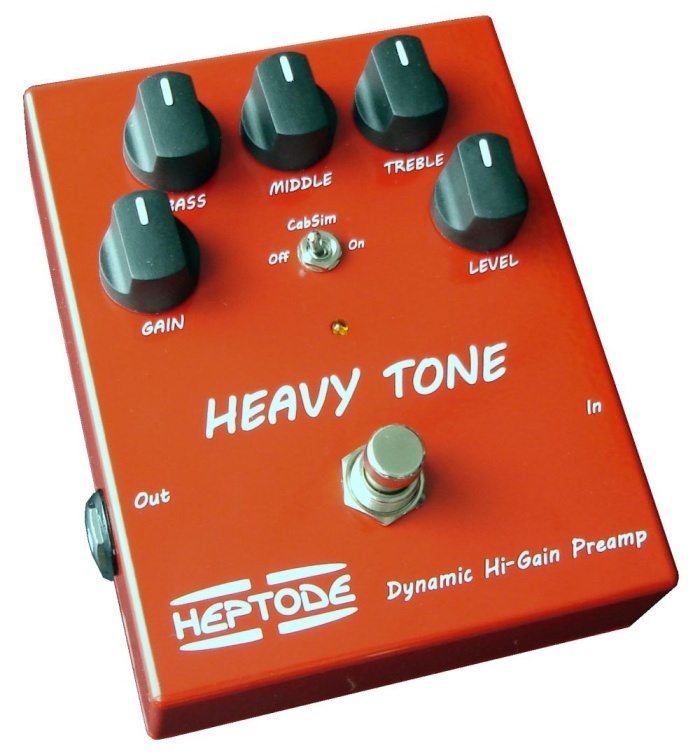 The Heptode Heavy Tone is a very “heavy toned” pedal. It has an interesting setup for a pedal of this type. The top of the pedal has a 3-band EQ (which is a really effective EQ at that) as well as a Drive knob. The bottom of the pedal has a level knob, and last but not least, the pedal comes with a built-in volume rocker. This is a tube-driven distortion, and is therefore not MIDI or computer compatible. It is also not rackable. The connection types are the basic 1/4" in and out. Editing with this pedal is pretty basic. The EQ works really well, and can make a major difference in tone when used effectively. 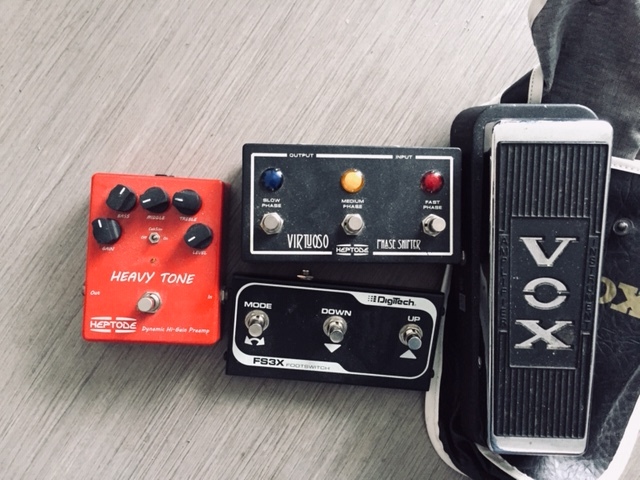 The pedal operates like a normal distortion pedal would, with the exception of the volume pedal, which actually functions just like most normal volume pedals would, only difference being that it is attached to the distortion. I haven't read a manual but there really isn't a need for one anyway. I like to use this pedal more with my Gibson, or anything with humbuckers, more than anything with single coils. I like it with a Fender amp like a Champ or a Twin more than a Marshall or Mesa Boogie. The tone is almost always really heavy, and that is pretty cool in general but not usually what I'm looking for. It suits heavy rock styles (like Queens of the Stone Age or Rage Against the Machine) more than it suits Neil Young or the Band (which is more my style). I also find that it robs me of a lot of volume when plugged in (it's not true bypass). 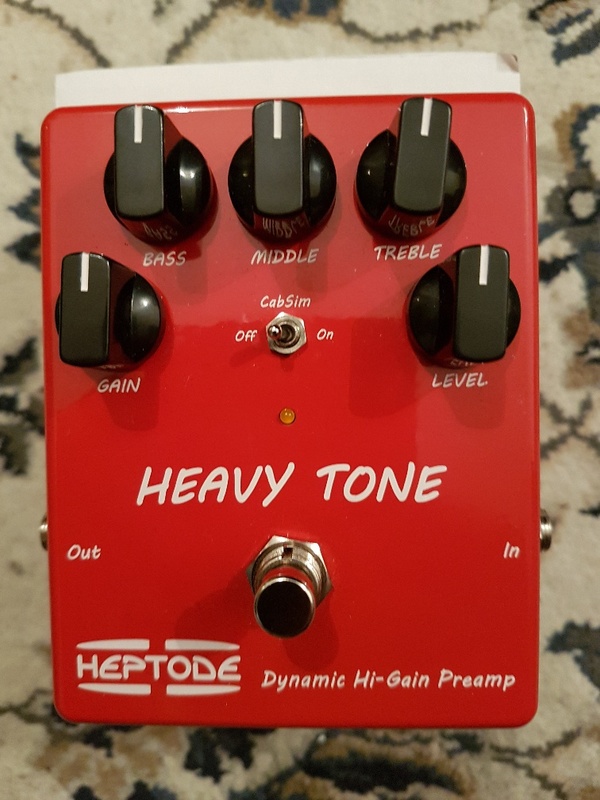 The volume pedal is a nice touch as it will allow you to switch your tone up in the middle of a song, however, it can also get in the way of your playing. 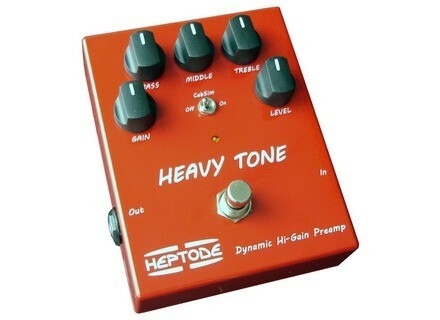 While this is a great pedal in its own right, I am not so fond of it's incredibly heavy sounds. The lesser distortions or overdrive tones that you can get out of it don't really hold up to a Tube Screamer or other really solid overdrives, and I don't know that I prefer the heavy sounds to a Big Muff or a Fuzz Factory. If you need a rock solid heavy rhythm guitar sound this might be what you are looking for, so I'd recommend it if that's the case. For leads, which is all I'm really interested in, you might want to look elsewhere. Neill.Caulf's review (This content has been automatically translated from French)" THE REFERENCE IN DISTORTION!" Need we say more? This is the perfect sound! Try it and adopt it. 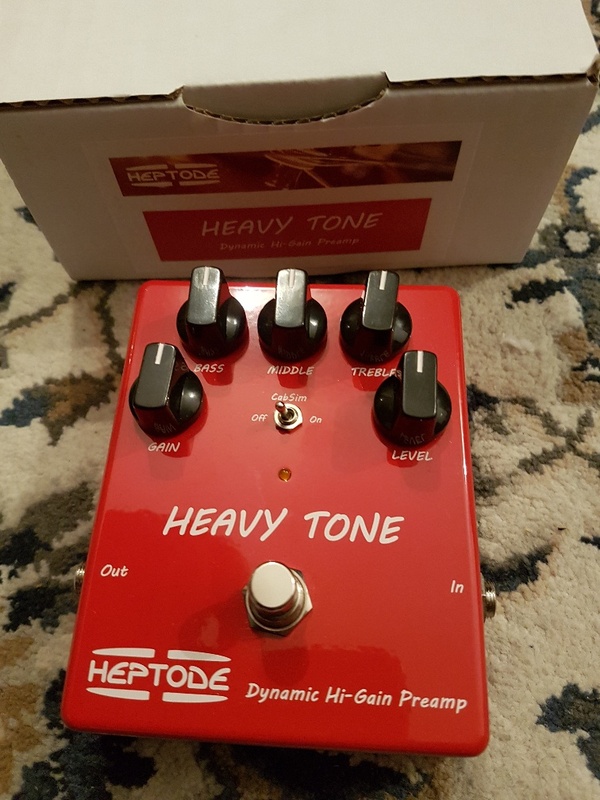 I expected this pedal for a long time ... Heptode did!